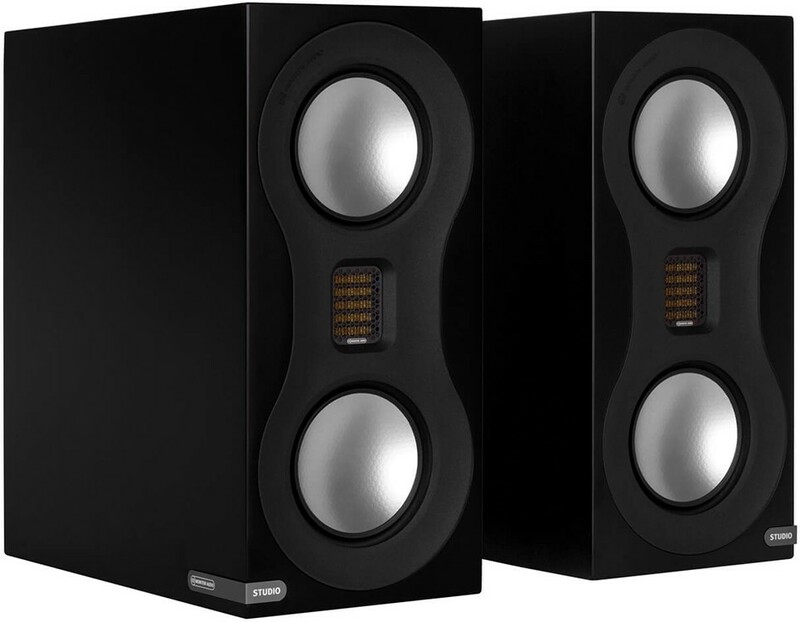 Studio is a premium loudspeaker, featuring technology from the Platinum II series, designed to deliver detailed and powerful audio usually associated with larger loudspeakers. 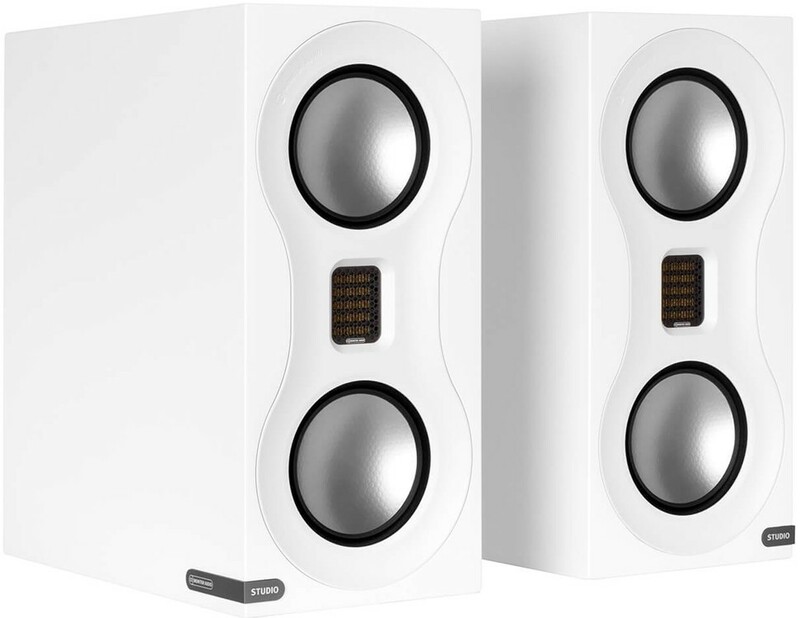 The result of Monitor Audio's mission to produce a powerful yet elegant loudspeaker to grace any setting, Studio employs a sleek silhouette, distinct design touches and flagship technologies to set a fresh audio benchmark. This premium loudspeaker offers absolute performance from the clean lines of the compact cabinet. The shape and configuration are designed for the rich and dynamic sound reproduction typically associated with larger speakers. The dual 4" drivers are modified from those used in the flagship Platinum PL500 II speaker delivering a clear and natural sound with a deep bass and abundant mid-range detail. Designed to be incredibly low in distortion, the drivers use the same magnetic design principles and material choice as the class-leading Platinum speakers. An MPD (Micro Pleated Diaphragm) high-frequency transducer provides astounding articulation due to its low mass diaphragm. These work in the same way as a super-fast accordion by rapidly squeezing the pleats to produce a smooth, wide and naturally fast response path into the ultrasonic band. The resulting sound is more lifelike encompassing the spectrum of every note without the distortion that blurs definition. The elegant cabinet is tuned using two rear-mounted HiVe II ports at the top and bottom of the cabinet. To prevent turbulence and subsequent air noise, the dual ports ensure the pressure inside the cabinet is symmetrically balanced. HiVe II technology ensures air moves in and out much quicker than a conventional port leading to powerful, fast bass coupled with superior transient response. The purist electrical chain is complemented by a pair of precisely machined terminals developed for the Platinum Series. These are rhodium plated to provide the lowest contact resistance and long-term consistency. High-grade polypropylene film capacitors, air-core and laminated steel-core inductors have been selected to preserve the best possible signal integrity. The grille-less design ensures the speaker’s voice is clear and true and lets the drivers become an eye-catching focal point. The two metallic-silver RDT II speaker cones, delivering optimum high-end performance, are coupled with a honeycomb tweeter cover for a modern edge to the speaker’s structure while the bespoke solid-metal logo adds a stylish touch. The drivers are surrounded and clamped by a rigid die-cast aluminium sub-baffle to provide rigidity. The mechanical structure is enhanced further using renowned bolt- through driver technology to provide the ultimate cabinet bracing. 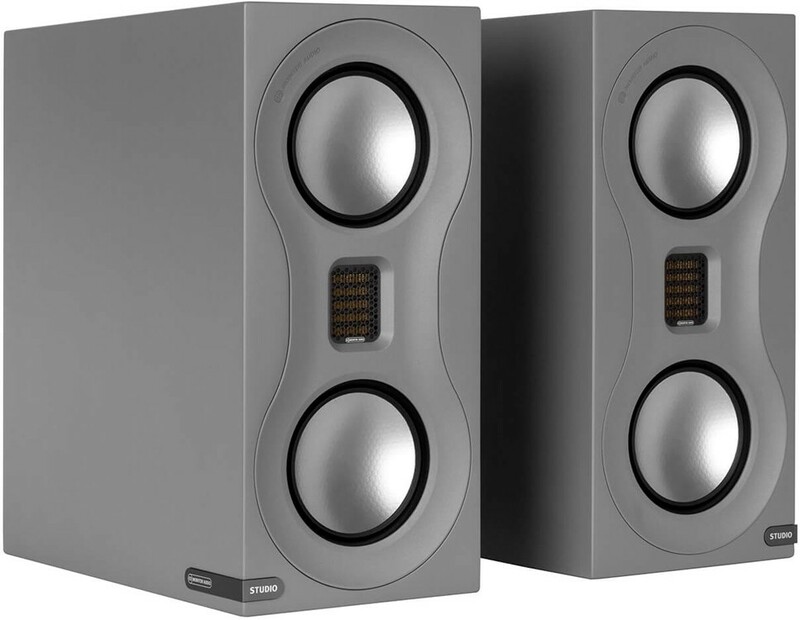 Hand-crafted and available in a sleek satin black, white or grey finish, Studio is a timelessly elegant pair of speakers. To ensure superior performance, an optional black or white floor stand is available.